Events and corporate crew in Brighton: South East Crew | South East Crew is a corporate events and stage crew in Brighton supplying punctual, smart and friendly stage crew for conferences, theatre, exhibitions, concerts, promotions, festivals and other events in the south-east region and beyond. South East Crew is a corporate events and stage crew business in Brighton, East Sussex, supplying punctual, smart and friendly crew for conferences, theatre, exhibitions, concerts, promotions, festivals and other events in the south-east region and beyond. Our events crew come with a wide range of experience in the events business, with emphasis on sound, lighting and set building. We can also supply specialist sound techs, lighting techs, riggers, MEWP (cherry-picker, scissor-lift etc) and tele-handler operators, follow-spot operators, production runners, wardrobe assistants, catering assistants, set carpenters and SIA licensed security staff. Our Brighton-based corporate events and stage crew offer an extremely flexible service geared to meeting your needs at competitive rates for our four hour (minimum) call and negotiable rates for daily and extended contract periods. 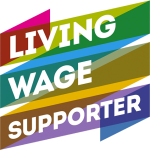 South East Crew is proud to support the Brighton & Hove Living Wage Campaign.